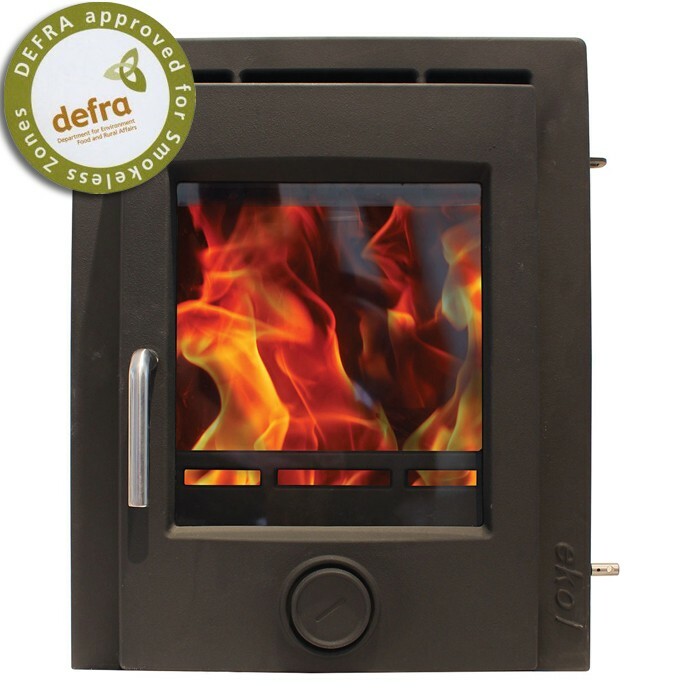 The ultra clean burning Ekol Inset 8 Multifuel Stove is DEFRA approved for burning wood in a smokeless zone. 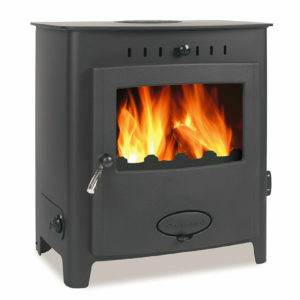 FREE Carbon monoxide detector, black fire cement and companion set available with this stove. 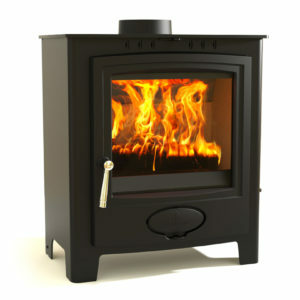 The Ekol Inset 8 Multifuel Stove features a deeper fire box then the Inset 5 but includes the same advanced features. 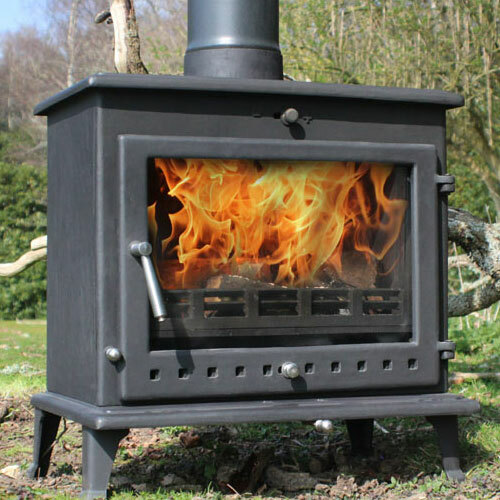 Ekol have used state of the art fluid-dynamics and research and development tools in order to produce a stove based on ultra clean combustion and high end performance. 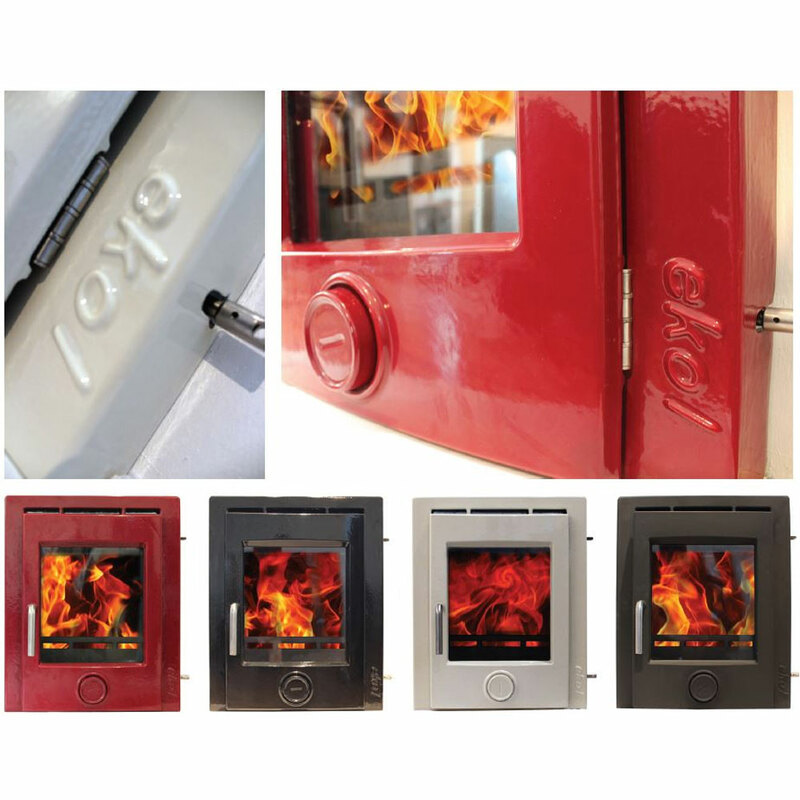 The Ekol Inset 8 Multifuel Stove an advanced airwash system which helps keep the glass clean, maximising your viewing pleasure. 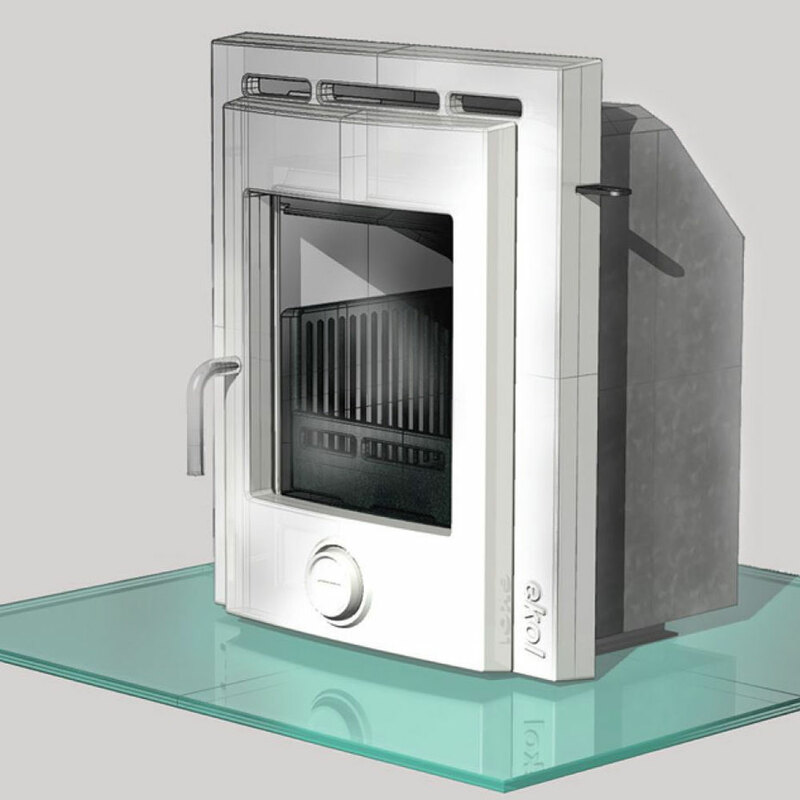 Like the Inset 5, the Ekol Inset 8 Multifuel Stove is designed to fit into a standard British fireplace opening (16 x 22 inches). The externally controlled riddling grate feature on the Ekol Inset 8 Multifuel Stove also enables you to burn smokeless coal for added versatility. 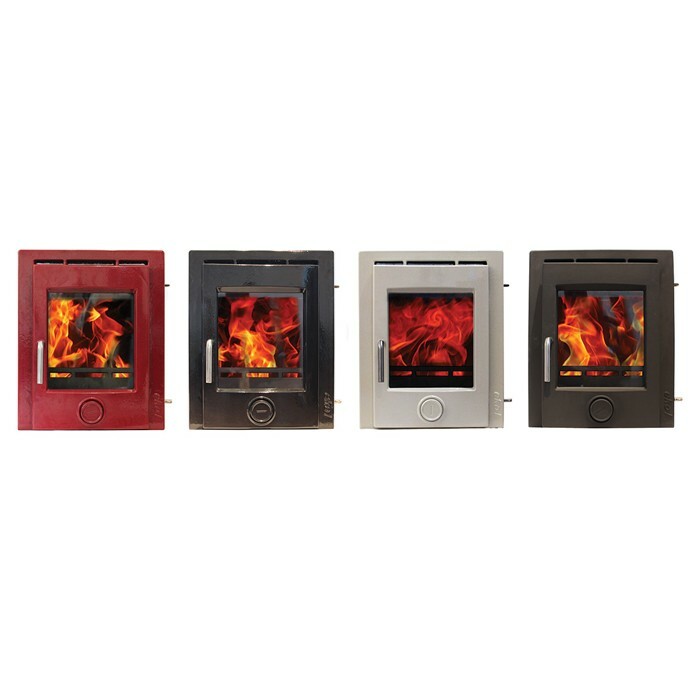 The Ekol Inset 8 Multifuel Stove is available in matt black and 3 enamel colour finishes. 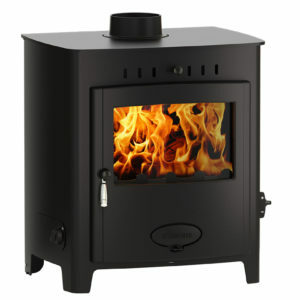 This means you can tailor the stove to suit the decor of the room.